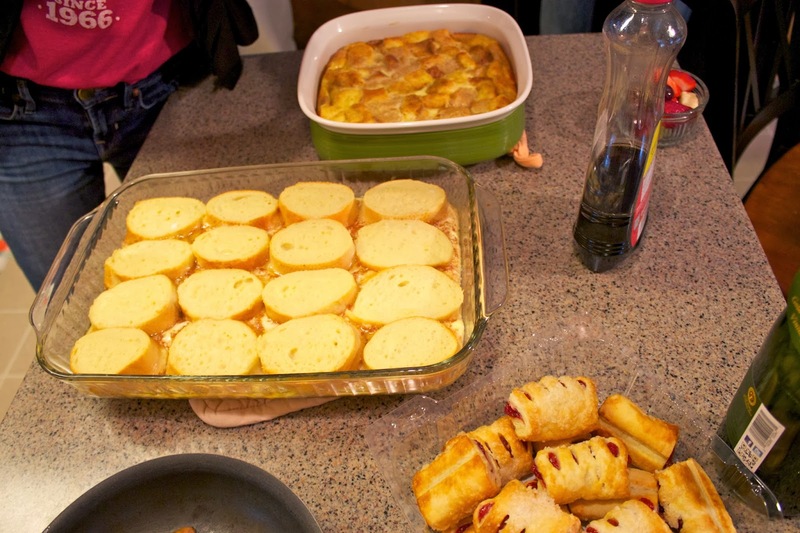 You all know Sunday brunch is the highlight of my weekend so today I'm sharing my Grandma's recipe for Baked French Toast. What I love about this recipe is you can make it ahead of time (just cover with tin foil and put the dish in the refrigerator overnight) but it's also easy to make in the morning. The brown sugar and cinnamon crust is the best part about this french toast paired with a little maple syrup or powdered sugar. 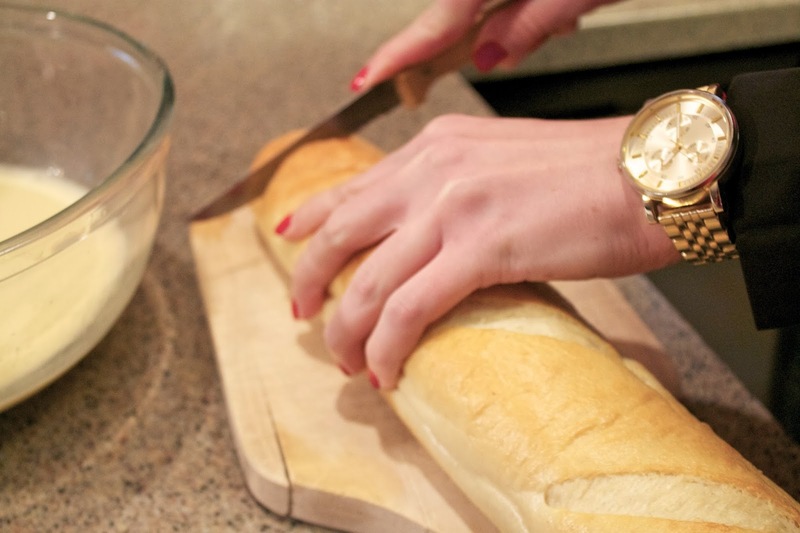 Cut bread into 1 or 1/2 inch slices and set aside. Combine the milk and beaten eggs and dip the individual bread slices into the mixture. While the bread is soaking, melt the butter in a 9x13 glass baking dish. 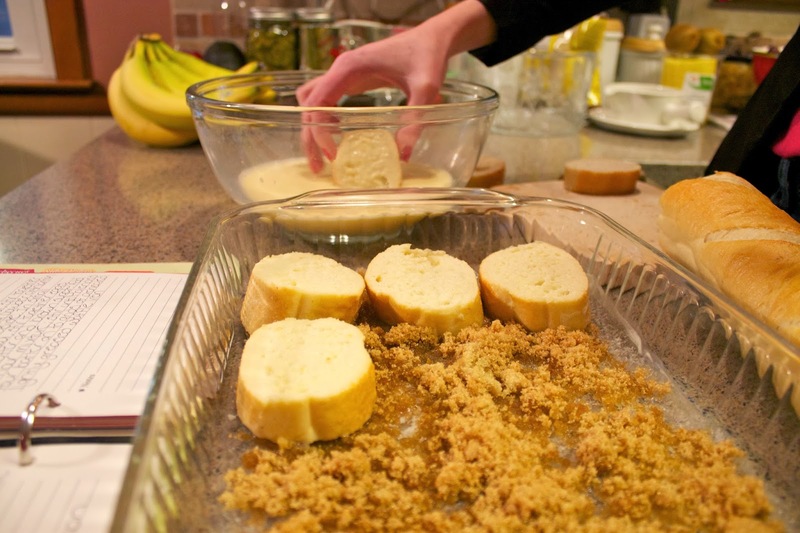 Combine the brown sugar and cinnamon and sprinkle over the melted butter. Place the soaked bread slices in the prepared pan and bake at 350 degrees for 25 minutes. This is so easy and it sounds amazing! Oh, this looks yummy! Definitely have to try this soon!